Psychological Aspects of Crisis Negotiation, Third Edition, explores the methods and strategies for confronting the nine types of subjects typically encountered in hostage/suicide sieges by correctional staff and law enforcement crisis negotiators. Strentz, an experienced negotiator who designed and directed the FBI’s hostage negotiator program, lays out the critical elements that are required for a successful encounter with a hostage taker or other malfeasant. This book highlights psychological dynamics of negotiations as they apply to the negotiator, the hostage, and the subject. It discusses the predictors of surrender versus the need for a tactical intervention and examines the phases of a hostage crisis and the changing focus as the crisis develops. Referencing historical events such as the Bay of Pigs invasion and the Challenger and Columbia incidents, this text demonstrates how faulty group decision making can spell tragedy. Enhanced with case studies to put the material into context, this third edition also includes new chapters on the SWAT team/crisis negotiator interface and on the genesis of the increased incidence of mentally ill hostage takers. 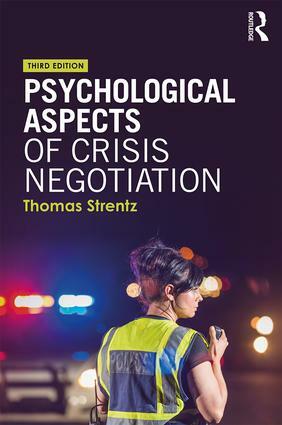 Based on decades of experience in the fi eld and practical advice from a national expert, this volume arms negotiators with the knowledge and tools they need to defuse crises and increase the odds that hostages will survive. What Do You Say to a Hostage?